Cahill services both residential and commercial customers in the greater North Shore area. 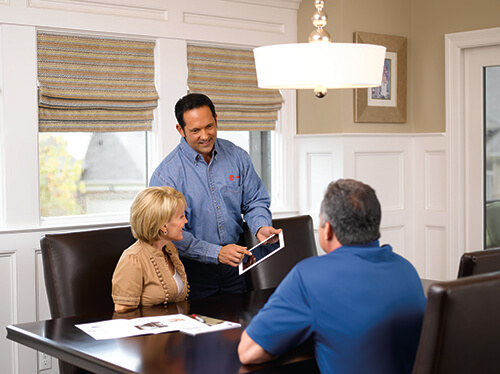 If your home needs a new HVAC system or a quick repair, our experienced technicians can help. Whether you live in a large home or a small condo, we can help. At Cahill, we carry a wide range of products to meet your needs. Cahill carries a number of products from Trane, Lennox, and more. We offer a number of financing options to help you get the HVAC system you need. We believe that our customers deserve quality HVAC services without breaking the bank. Our team at Cahill offers emergency services 24/7 –whether your unit breaks down at 3:00 am or 3:00 pm, Cahill can help. Contact us today to learn more about our residential HVAC services. Give us a call or fill out our contact form.